In 1917, the 18th Amendment to the US Constitution prohibited the manufacture, sale, or transportation of alcohol. This led to the rise of speakeasies during the Prohibition Era of the 1920s and 1930s. These illegal taverns, hidden in basements, attics, and back rooms, were gems of culture, fashion, and good whiskey. Step back in time when you visit The Barbershop Cut and Cocktails, a throwback to the glamorous 1920s and 30s era. Like many speakeasies of the past, The Barbershop Parlor is tucked away behind the front of a traditional business. While you won’t need a code word or special knock to enter, you will need to know how to find us. At first look, The Barbershop looks like a traditional barbershop where master barber Jose Sosa and his skilled grooming team provide a wide range of cuts, trims, and shaves. Choose from a menu of services that include a full cut, classic shave, brows, facial, and more. Whether you want a classic look or something a bit more rebellious, their team is ready to create the perfect style for you. Sometimes, however, there is more than meets the eye. At the rear of The Barbershop, you might spot an unassuming janitor’s door. It doesn’t seem like much, just a small room filled with mops and buckets. In fact, this door is the entrance to The Barbershop Parlor, an elegant Prohibition-era lounge, bar, and music venue. 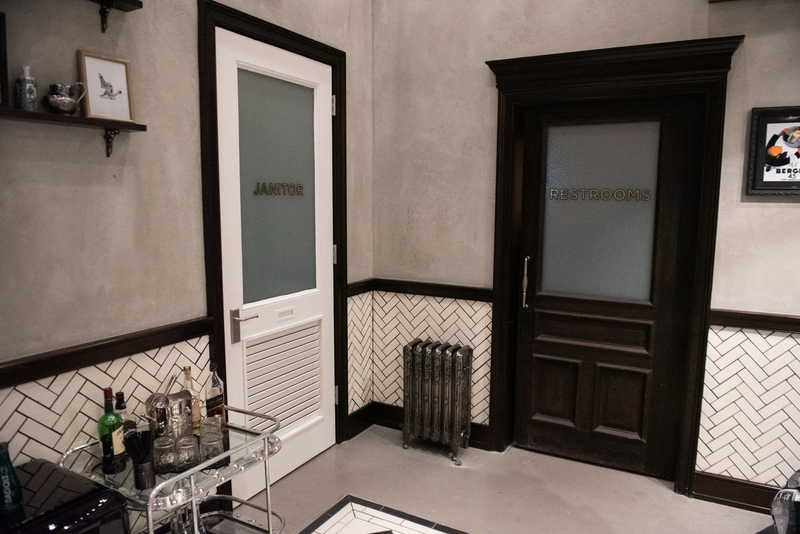 To enter our swanky Prohibition-era bar, enter The Barbershop and look for the janitor’s door. Walk through the unassuming door of the janitor’s closet where you will meet a host dressed as a janitor. Hidden behind the janitor’s door is a swanky bar and music venue. Here, guests relax on leather couches, enjoy live music from our house band The 442s, and sip handcrafted cocktails, expensive whiskeys, and craft beer. This is truly an experience like no other in Las Vegas. The interior of The Barbershop features sparkling chandeliers, luxurious drapes, and beautiful leather couches. Behind the bar, our expert bartenders are ready to serve up your favorite drinks, including a wide selection of whiskey from all over the world. Order your favorite whiskey just the way you like it–two fingers, three fingers, on the rocks, or a splash of water. Or, try a new whiskey from our extensive selection. Throughout the week, The Barbershop rocks out with live music from famous acts from all over the world, DJs, and even karaoke. There is always a good time to be had at The Barbershop Parlor. 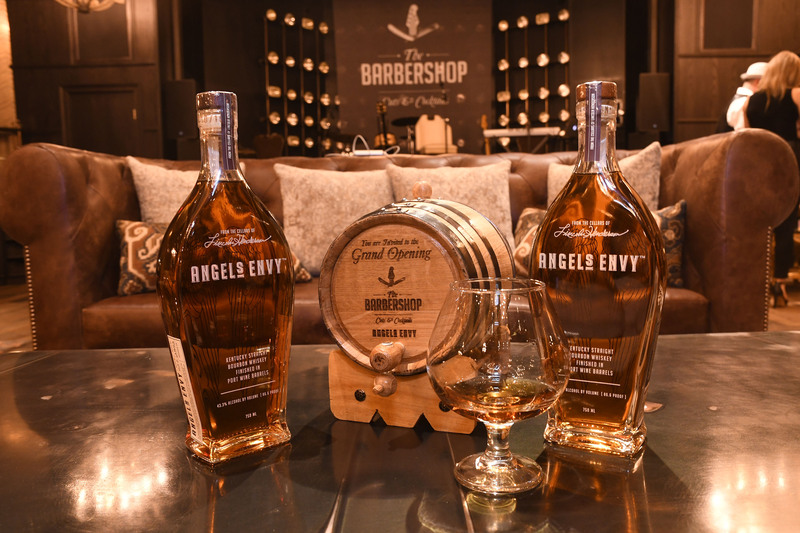 At The Barbershop, you can enjoy a night with friends, rock out to live music, relax with a nightcap, or even host an event; the choice is yours. Our Prohibition era parlor is a nod to the greatest whiskey bars of the world. As such, we offer a wide selection of whiskeys designed to satisfy even the most experienced whiskey-lovers. Choose from single malt, blended, rye, bourbon, and many more. Keep it classic with a Johnnie Walker Black, Maker’s Mark, Jameson, or Crown Royal XR. Fancy something a little more upscale? Try Our Remy Martin Louis XIII or Old Rip Van Winkle 25 year. For those with a discerning whiskey palate, try one of our whiskeys from all over the world, including a wide selection of whiskeys from America, Ireland, Japan, and Canada. Our bar also features a selection of fine tequilas, hand-crafted cocktails, wine, shooters, and beer. Guests can also order Absinthe at Sea, a selection of absinthes served tableside in a smoking ship decanter. Are you looking for a stylish space to host a private event? Look no further than The Barbershop Parlor. Our unique, elegant space is an ideal location to host any size group, from a few friends to your entire company. The Barbershop offers a sophisticated backdrop to birthday celebrations, bachelor parties, corporate events, and more. Our venue can accommodate up to 350 guests, with full or partial buyouts available. The Barbershop is located in The Cosmopolitan, one of the top resort casinos on the Las Vegas Strip. Our barbershop and venue can be found on Level 1 in the Boulevard Tower.